On orders from the top, local governments are investigating workers, threatening to cut pensions, and restricting social media. 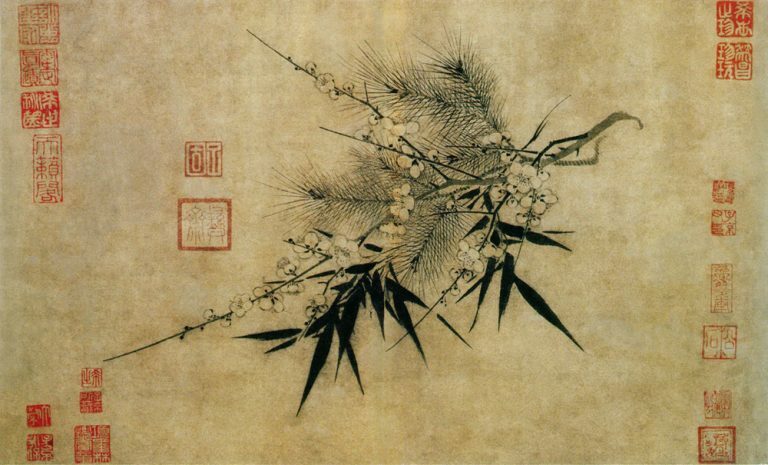 Examples from Inner Mongolia. 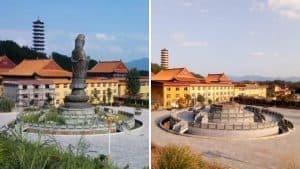 According to a government official from a town in the Inner Mongolia Autonomous Region’s Chifeng city, who spoke under the condition that his identity would not be disclosed, the town has launched a secret campaign to eradicate religions in the name of “cleaning up gang crime and eliminating evil” – a nation-wide campaign launched in January 2018 to fight organized crime. As Bitter Winter reported earlier, this campaign has been widely used to crack down on religious belief across China. The official stated that in November and December of 2018, the mayor of the town held multiple meetings to coordinate the campaign. The mayor said that Xi Jinping had listed people who believe in God as targets for “cleaning up gang crime and eliminating evil,” and that all Christian denominations except the Three-Self Church were being classified as xie jiao organizations. The town is expected to continue these “anti-crime” operations until they have suppressed all religious beliefs in the area. The campaign would be open-ended, continuing until the job is completed. After receiving this tip, Bitter Winter visited the area to see how the campaign was being implemented. 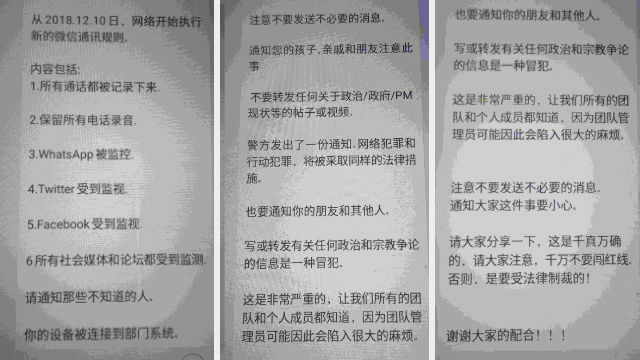 According to Bitter Winter’s previous reports, threatening to “cancel subsistence allowances and old-age pensions” in order to coerce Christians into renouncing their faith are common techniques employed by the Chinese Communist Party. 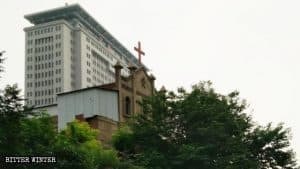 A house church Christian in Chifeng told Bitter Winter that officials from seven government offices had gone to talk to the leader of his church. The officials demanded that he give his allegiance to the state-controlled Three-Self Church. They even promised to provide him with an office and pay him a salary, but he refused. 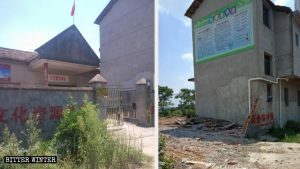 As a result, the church was forced to stop holding meetings in December 2018, and disperse into hidden congregations at believers’ houses. The push to find and punish believers is so intense that authorities have canceled weekend leave for investigators who are forced to continue working on Saturdays and Sundays. 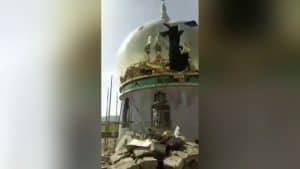 To help the campaign, authorities have stepped up surveillance of the internet to find people who spread religious material. And they are mobilizing workplaces to help enforce the crackdown. Implementing online surveillance to restrict religious beliefs (a photo from WeChat). Authorities have long used various hierarchies and institutions, such as employers, to investigate and restrict the religious beliefs of Party members, workers, and average people. Now, however, this practice is escalating. 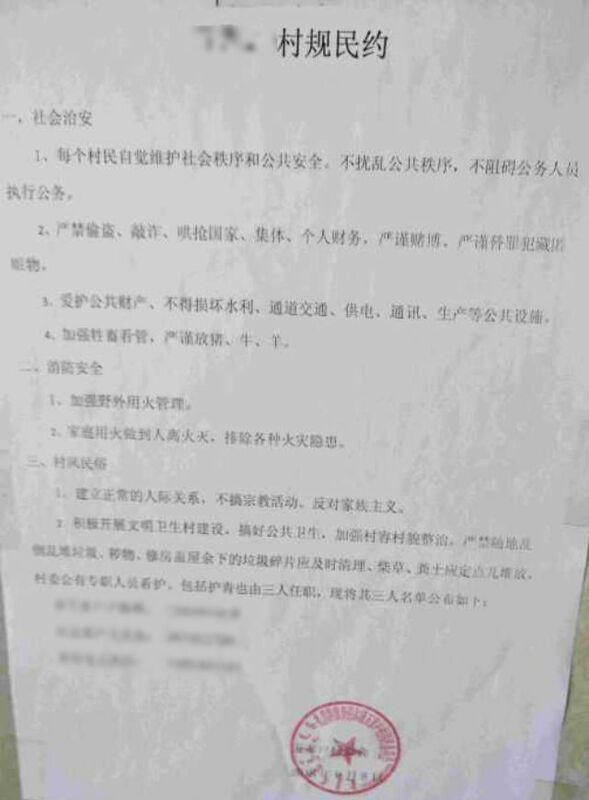 Regulations issued by village authorities sent to villagers forbidding them to practice religion. One day in September, a work unit in Oroqen Autonomous Banner held a meeting to discuss a document the firm had received from the local Public Security Bureau. The document declared, “If any workers or their relatives have religious beliefs, they must be reported to the superior authorities.” After the meeting, the leadership of the work unit once again urged the president of its labor union to investigate and handle this matter. In another example of a local government implementing the anti-religion crackdown, a town government in Hailar city convened two hearings in October to audit subsistence allowances. The move was in response to state orders that people with religious beliefs couldn’t apply for subsistence allowances. 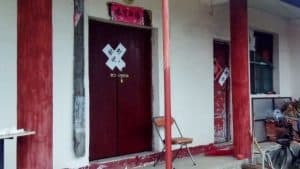 These reports from Inner Mongolia demonstrate the pressure being brought to bear on religious people, and the lengths to which the authorities will go to crush religion in local communities. Such efforts are being replicated across China’s vast territory.